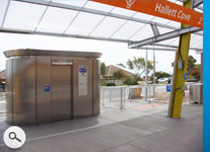 The South Australian Government recently made a decision to upgrade a number of Adelaide's train stations including the public toilets. 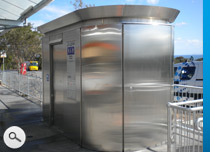 The design for the station defined the requirement for the new public toilet: modern in appearance. 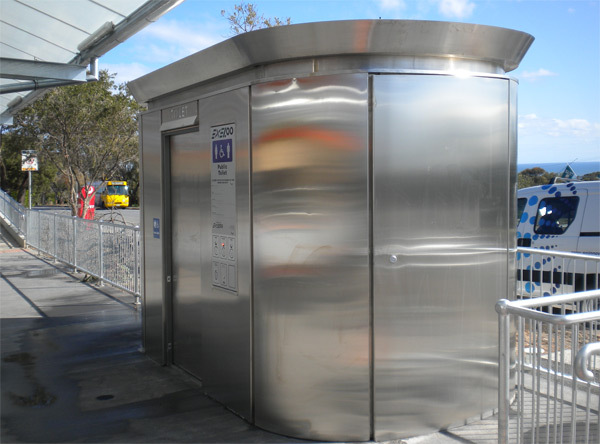 Railway stations are known to attract more than their fair share of vandalism and so the public toilet for this location had to meet the tight architectural requirement for the project and also withstand the rigours of public use. In addition, the construction timetable was tight, with only a short window for installation of the public toilet. The Exeloo Galaxy 01 was the perfect solution: prefabricated, modern, able to withstand even the most "creative" vandals whilst also providing the client and the public with a very good looking and safe convenience on the train platform.